Parking is available on the street and is free on the weekend. 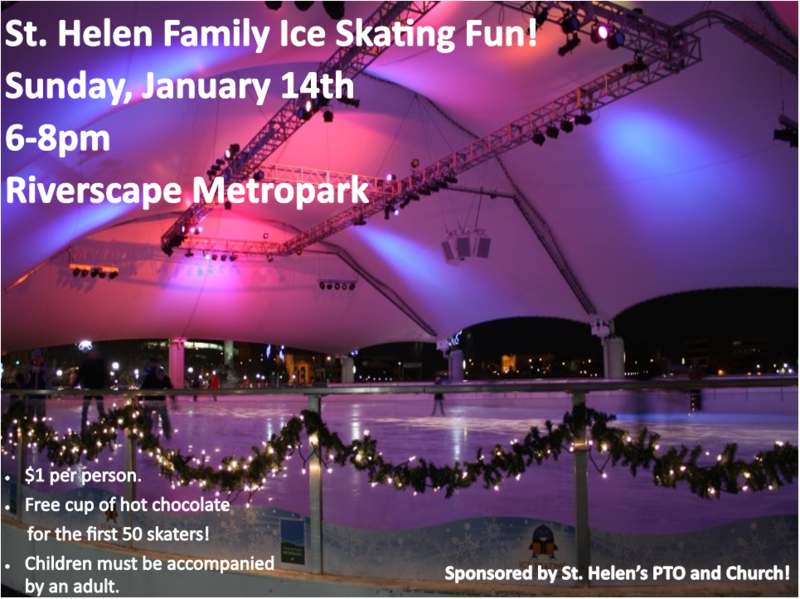 The concession stand will be open while we skate! Questions? Contact Shaughn or Amy in the Parish Office.